Custom & Shared Excursions Everyday! Completely Custom Designed Day Just For Your Family! Unbelievable Experience! Savannah 33	Savannah 36	Savannah Happenings 39	Why is Savannah one of America’s Most Haunted Cities? Single copies of The Lowcountry Leisure Guide may be obtained by mailing a check for $5.00 for postage and handling to Island Communications, P.O. Box 5511, Hilton Head Island, SC 29938. e-mail: icom@ hiltonhead.com. Every effort is made to provide dependable data; however, the publisher does not war­rant that the data herein is complete or accurate. Any rates, special offers, etc. 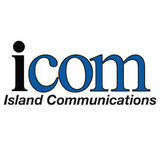 are subject to change by the individual adver­tis­ers and are not guaranteed by Island Communications. Copyright 2019. Island Communications. All rights reserved. elcome to the Lowcountry! From award-winning restaurants to fascinating historic sites, there’s so much here to explore, experience and enjoy. You’ll want to return again and again to experience the best that the area has to offer. Hilton Head Island, SC This crown jewel of the Lowcountry offers 12 miles of white sandy beaches and lush maritime forests, as well as awardwinning dining, exceptional shopping and outstanding familyfriendly activities. This boot-shaped sea island, nestled along the South Atlantic coast, has earned a well-deserved reputation as a beach, golf and tennis mecca. Hilton Head Island features wide sandy beaches, gentle waves, rolling dunes and a temperate climate, providing the ideal setting for a wide range of outdoor activities, from saltwater fishing to ziplining. Bluffton, SC Enjoy the “Bluffton State of Mind,” which is laid-back, quirky and fun, when you visit Old Town Bluffton. Wander the town’s historic streets, shaded by massive live oak trees, and discover creative art galleries, charming boutiques, delicious restaurants and inviting pubs. Tucked along the majestic May River, Bluffton offers an authentic Southern village atmosphere that is home to friendly locals, vintage Lowcountry architecture and fresh seafood. Beaufort, SC Southern charm comes to life in Beaufort, from its quaint waterfront dotted with porch swings to its historic homes, which date back to 1717. Beaufort served as the inspiration for the setting of Pat Conroy’s novel The Prince of Tides, and is featured in a wide range of movies such as Forrest Gump and The Big Chill. This former port, which was home to wealthy planters before the Civil War, boasts scenic streets shaded by massive live oaks, as well as cozy restaurants, lively festivals, friendly cafés and inviting boutiques. white, sandy beaches and natural wonders. Adventure abounds on the many kayak nature tours, deep-sea fishing excursions, walking trails within wildlife preserves and over 50 miles of paved public pathways. No wonder Hilton Head holds a special place in many hearts. Whether enjoying an afternoon of shopping, playing 18 holes on a world-class golf course or savoring a meal at one of the hundreds of fabulous local restaurants, life on this Island is always laid-back. Beachfront hotels and harborside condos offer spectacular sunrise and sunset views, adding a taste of luxury as well. When: Mar. 22, 5:30-8:30 p.m. and Mar. 23, 11 a.m.-5 p.m. Where: Shelter Cove Community Park What It’s About: Kick off the weekend with an intimate gathering underneath the Shelter Cove Pavilion with Wingfest Happy Hour. Saturday is the competition day. With over 20 local restaurants competing for People’s and Judge’s top three choices, there are plenty of wings to sample. There will be many activities, such as a kids’ zone, rock climbing wall and bungee jump, Kids’ Wing Bobbing Competition and Adult Wing-Eating Contest. Enjoy live entertainment from local favorites. Vote for your favorite wings and watch the winner be crowned at 4:30 p.m. Admission is $7. Children 10 and under are free. www.hiltonheadwingfest.com. 6-9 p.m. Where: Shelter Cove Harbour What It’s About: Stop by each Thursday and dance the night away at this outdoor concert and dining series. Shelter Cove Harbour restaurants will offer specially priced light appetizers, wine, beer and cocktails. No coolers or outside food are allowed. You are encouraged to bring your own chairs. Weather permitting. Free admission. (843) 548-0060 or www.palmettodunes.com. When: Mar. 28-30, 8 p.m. Where: Arts Center of Coastal Carolina What It’s About: The musicians of Get the Led Out are passionate about the music of Led Zeppelin, and doing justice to one of the greatest bands in rock history. Their mission to bring the studio recordings of “the mighty Zep” to life on the big stage results in a night of rock and roll you’ll never forget! Tickets are $51. (843) 842-ARTS or www.artshhi.com. When: Mar. 31, 5 p.m. and Apr. 1, 8 p.m. Where: First Presbyterian Church of Hilton Head What It’s About: Conductor John Morris Russell and the Hilton Head Symphony Orchestra Chorus perform the works of Verdi, Rossini and Respighi. (843) 842-2055 or www.hhso.org. GREGG RUSSELL CONCERTS When: Apr. 1-5, 8-12 and 1517; May 24-26 and 29, 7:30 p.m. When: Apr. 15-21 Where: Harbour Town Golf Links What It’s About: The 2019 RBC Heritage presented by Boeing will take place at the Harbour Town Golf Links. The RBC Heritage is the PGA TOUR’s only event in South Carolina, first played in 1969. Make plans now to “Get Your Plaid On!” (843) 671-2448 or www.rbcheritage.com. Where: Liberty Oak in Harbour Town What It’s About: Gather around for fun in Harbour Town with Gregg Russell in concert. It’s total family fun with special antics for the kids, games, interviews, sing-a-longs and great entertainment. Shows are always different and are not to be missed. Complimentary. (843) 842-1979 or www. seapines.com. Alder Lane Beach •South Forest Beach Dr.
Beach Park • Driessen 64 Bradley Beach Rd. This beach has a lot to love. It’s less crowded than surrounding beaches, but has the basic amenities that make for better beaching, like outdoor showers, restrooms, beach matting to make crossing the sand with wheels less arduous and seasonal lifeguards. Parking isn’t free, so bring food for the meters (quarters, not cards). Popular with families, this beach has a playground, a picnic table pavilion with grills and lots of room to run, hide and explore. The long, wooden boardwalk leading through the dunes and path to the sand makes the access stroller- and wheelchair-friendly. Amenities also include a changing area, restrooms and seasonal lifeguards. Coligny Circle, intersection of North Forest Beach Dr., South Forest Beach Dr. and Pope Ave. Coligny Beach is popular for a reason. It’s wheelchair-accessible, has places to sit and swing under shaded gazebos, seasonal lifeguards, chair and umbrella rentals, showers, changing rooms, restrooms, cold drinks and hot food in a nearby plaza, shops to browse for souvenirs and even free Wi-Fi! Bike racks and free parking make this a no-brainer if convenience is at the top of your list. next to Chaplin Community Park This beautiful strip of beach has bathrooms, outdoor showers, metered and free parking and beach gear to rent. Its proximity to the park means that tennis and basketball courts, a playground and a fenced-in dog park are all just a stone’s throw away. Getting down the sandy path to the beach can take some time, so if you’ve got a lot to haul, you may want to find a beach with easier access. Beach Park • Folly55Field Starfish Dr. This beach doesn’t get as crowded as some others, but parking is limited, so an early start is recommended. A boardwalk leading to the beach, bathrooms, lifeguards and showers to clean off sand make this a perfectly basic beach. Beach Park • Islanders 94 Folly Field Rd. Popular with the locals, this familyfriendly beach has a playground, beach matting, a picnic pavilion, grills, showers, restrooms and lifeguards. Chairs and umbrellas are available for rent. Parking is limited to meters and town-issued passes. Beach Park • Fish124 Haul Mitchelville Rd. This is one of the more rustic, natural beach sites on the Island. With fewer people, be on the lookout for all kinds of wildlife! Free parking, a few picnic tables, restrooms and showers are the only things you’ll find out here. This is a great place to get away from the crowds and have the beach all to yourself. The perfect vacation is just a click away at hiltonhead.com. Offering detailed information on accommodations, dining, nightlife, activities, shopping, real estate and local events, this popular website also features area maps, deals, discounts and our “priceless” local publications. bellum homes, historic churches, all kinds of artisan shops and wonderful restaurants, Bluffton is anything but quiet. It was even named #1 for Amazing Non-­Beach Getaways by Huffington Post, which is no surprise, since the gorgeous oak trees draped in moss and the scenic views of the May River give Bluffton some of the sweetest Southern charm in all of the Lowcountry. No matter whether you’re looking for a great place to fish or explore by kayak, somewhere to have a family vacation, destination wedding, or even a new place to call home, Bluffton is bound to have somewhere perfect for you. Discover this casual, friendly community that’s filled with Southern style. BLUFFTON GUIDED TOURS OF HISTORIC HEYWARD HOUSE When: Mon-Fri., 10 a.m.-4 p.m. and Sat., 10 a.m.-3 p.m. Where: 70 Boundary St. What It’s About: The ColeHeyward House is one of only eight antebellum homes remaining in Bluffton and is part of Bluffton’s National Register Historic District. Tours last approximately 45 minutes to 1 hour, and are offered as visitors arrive, unless previously scheduled. The Heyward House is the Official Welcome Center for the Town of Bluffton. (843) 757-6293 or www.heywardhouse.org. Happenings friends. (843) 415-2447 or www.farmersmarketbluffton.org. When: Mar. 29-31 Where: 905 Buckwalter Pkwy. What It’s About: The largest home and garden event in the Lowcountry, the festival will offer more than 100 Home and Garden related booths, with many local experts who will be on hand to answer questions regarding home improvement, garden and landscaping and healthy eating. There will also be free workshops on topics to help spruce up your home and garden, cooking demonstrations featuring local chefs, plus daily giveaways and activities for kids. (843) 681-9240 or www.lowcountryhomeandgardenshow.com. Follow Bluffton Everywhere from Anywhere. BLUFFTON Hunt, families can enjoy face painting, makeand-take crafts with The Sandbox Children’s Museum, DJ entertainment, story time on the Bluffton Library Bookmobile, visits with the Easter Bunny and more! www. tangeroutlet. com/hiltonhead/events/april. When: Apr. 7-13 Where: Various locations What It’s About: A Southern celebration of food, the festival features local restaurants and caterers providing a sample of their tastings to the public. Events include: The Taste of Hampton Lake, a tapas-style event featuring some of the best chefs in the area; Eat It and Like It; and a restaurant week with special menus at some of the best restaurants in Bluffton. Finish the week on April 13 with the popular street festival. www.tasteofbluffton.com. When: May 11, 10 a.m. Where: Historic Downtown Bluffton What It’s About: Art and local artists take center stage during the festival, with over 200 art, craft and food vendors expected this year. But it’s the entertainment and activities that create much of the anticipation. Attendees delight at the sight of the annual pie-eating and ugly dog contests. (843) 815-2277. When: May 18, 10 a.m.-4 p.m. Where: 3001 Meeting St., Hilton Head Island What It’s About: The 2019 tour will feature private gardens on Hilton Head Island and Bluffton, and will provide inspiration for gardeners at all levels. Tickets are $35. Includes lunch served in the All Saints Church social hall from 11 a.m.-2 p.m. Also at the church, you will find a boutique, local artisans and master gardeners available to answer questions. (843) 681-8333 or www.allsaintsgardentour.com. Highway 46 takes you straight into Downtown Bluffton This delightful area along the beautiful May River is compact but loaded with Lowcountry charm. Boutiques, art galleries, upscale and casual eats, coffee spots, restored antebellum and post-Civil War homes and churches make this a place you'll want to spend some quality time. A lively Farmers' Market sets up on Thursdays from 1-6 p.m. Though Sunday Brunch is a big happening in Bluffton, many shops are only open Monday through Saturday, so plan ahead to get the most out of your time there! The May River drives the character of Bluffton, named for its location on the river's north bluff. Its lazy sandbars, docks, shrimp boats, sunsets, wildlife, islands, seafood and breezes all combine to make Bluffton what some residents consider the "last true coastal village of the South." There are a number of access points around town, including the Bluffton Calhoun Street Public Dock (113 Calhoun Street) and the Alljoy Boat Landing (265 Alljoy Road). 40 Calhoun Street Buy local! Find fresh fruits, veggies, baked goods, flowers and more in a family-friendly, communityoriented environment that showcases local farmers and vendors. See what's happening around town, get information about local events, enjoy live entertainment and bring your pets. Thursdays from 1 p.m.-6 p.m.
63 Wharf Street Dive into the best of the Lowcountry's culinary tradition at the only remaining hand-shucked oyster joint in the state. Established in 1899, this restaurant relies on the local crabs, shrimp, mussels and oysters to feed its patrons. When you've had your fill, burn off some of the seafood with a stroll up to the Bluffton Oyster Factory Park, and take in the serene waterfront from the wharf. 110 Calhoun Street Added to the National Register of Historic Places in 1975, this gorgeous Carpenter Gothic-style church features fanned arches, latticed shutters, rose-colored light and exposed pine. Situated atop a bluff of the May River, it was designed by architect E.B. White and built in 1857. Currently an Episcopal congregation, the church sometimes holds outdoor services at sunrise, and has used the May River itself for baptisms. Wharf Street, Oyster Factory Park Sometime around 1878, newly freed Cyrus Garvin built this home on the 54 acres he had purchased in 1870. Sitting atop a high bluff overlooking the May River, it is one of very few Reconstruction-era houses belonging to a freedman in this area. The home passed out of family hands in 1961, but was restored in 2016 and is now open to the public. Tours are available Tuesdays and Thursdays from 10 a.m.-4 p.m. and by appointment on Fridays. Bluffton is a State of Mind and just a click away at bluffton.com. Offering detailed information on accommodations, dining, nightlife, activities, shopping, real estate and local events in Old Town and beyond, this popular website also features area maps, services, deals and more. on Parris Island in 1566 â&#x20AC;&#x201D; 40 years before Jamestown. Home to one of only three National Historic Landmark Districts in South Carolina, as well as Hunting Island State Park, Parris Island Marine Recruit Depot and a Marine Corps Air Station, Beaufortâ&#x20AC;&#x2122;s celebrated antebellum charm, combined with its natural beauty, proud military facilities, Native American and Gullah heritage, has long attracted nature lovers, artists, history buffs, moviemakers, veterans and others looking for an out-ofthe-ordinary escape. When: March 29, 7:30 p.m Where: 805 Carteret St., Beaufort What It’s About: Presented by the USCB Center For The Arts, the Artrageous experience is highenergy, interactive, mysterious and pure fun! For the first time on one stage, the fine arts meet the performing arts. Music, dance, paint, performance, participation and more. (843) 521-4145 or www.uscbcenterforthearts.com. Easter Egg Drop is an Easter Egg Hunt open to the first 1,500 preregistered children in the community between the ages of 2-10. Highlights include a bounce house area with over eight inflatables, balloon artists, face painters, food trucks, music and the Easter Bunny. (843) 524-3393 or www.beaufortacademy.org. When: Apr. 20, 12-5 p.m. Where: Old Village Port Royal What It’s About: Port Royal goes nuts over soft shell crabs, and the Annual Soft Shell Crab Festival will be full of them. The opportunity for soft shell crabs only comes once a year and the fun community festival offers a day of food and enjoyment, and a fantastic opportunity to savor a Lowcountry delicacy. (843) 470-1110 or www.oldvillageportroyal.com. stration by the Blue Angels. Free to the general public. www. beaufortairshow.com. When: May 3-4, Fri., 6-10 p.m. and Sat., 11 a.m.-5 p.m. Where: Henry C. Chambers Waterfront Park, Beaufort What It’s About: One of the Lowcountry's favorite foodie events, this two-day savory retreat will feature live music, arts, local seafood and much more. Free admission. (843) 525-8525 or www.beaufortchamber.org. When: May 16, 7:30 p.m. and May 19, 4 p.m. Where: 81 Lady’s Island Dr., Beaufort What It’s About: The Orchestra’s “Grand Romance” features Brahms Piano Concerto #2, Nadia Azzi: Pianist, Tchaikovsky Capriccio Italien/Romeo & Juliet. www. beaufortorchestra.org. When: May 24-26 Where: Henry C. Chambers Waterfront Park, Beaufort What It’s About: The Original Gullah Festival of Beaufort celebrates and recognizes the history, customs, culture, language and accomplishments of African Americans of the Lowcountry. It's three days of art, crafts, music, food and fun for the whole family. (843) 525-0628 or www. originalgullahfestival.org. Spanish Moss Trail Discover the Great Outdoors on a Majestic Rails-to-Trails Paved Pathway If you enjoy hiking, biking, walking, fishing, dog walking, riding a scooter, skateboarding or rollerblading, don’t miss the Spanish Moss Trail, which connects beautiful Beaufort to historic Port Royal and offers 10 miles of scenic beauty. Part of the East Coast Greenway, the Lowcountry’s only paved Rails-to-Trails destination provides breathtaking waterfront and marshfront views along a flat,12-foot-wide pathway that is open to pedestrians and nonmotorized transportation year-round (motorized wheelchairs are welcome!). Six parking trailhead areas are available, and pets are welcome, as long as they are on a leash. The handicapped-accessible trail offers several bridges and trestles with exceptional recreational fishing, as well as amazing opportunities for wildlife viewing and historic points of interest, like the former Beaufort Depot, which was originally built in 1901. The trail runs along the former Magnolia Rail Line, which once connected the Lowcountry with Augusta, GA. In 2009, the Beaufort-Jasper Water and Sewer Authority obtained the right-of-way to use the former railway as a utility corridor. In 2011, Beaufort County secured an easement to establish a recreational trail that would appeal to locals as well as visitors. Thanks to the generosity and foresight of local residents and businesses, the Spanish Moss Trail attracts outdoor enthusiasts from near and far. Today, the 10-mile trail cuts through Spanish mossdraped neighborhoods and woodland tracts. When the Spanish Moss Trail is fully developed, it will be approximately 16 miles in length. Don’t miss the opportunity to explore the natural beauty of the Lowcountry on the Spanish Moss Trail. Whether you’re on foot or on a bike, you’ll make memories that last a lifetime! The Spanish Moss Trail is open daily from dawn until dusk. Learn more at spanishmosstrail.com. The “Queen of the Carolina Sea Islands” is just a click away at beaufort.com. Offering detailed information on accommodations, dining, nightlife, activities, shopping, real estate and local events in the Historic District and beyond, this popular website also featu features area maps, deals and more. Happenings hospitality the South has to offer. (912) 2348054 or www. savannahtourofhomes.org. When: Mar. 15-16,10 a.m.midnight Where: Downtown Savannah What It’s About: Out of all the festivals and events on River Street and in City Market, none is bigger, better or greener than their St. Patrick’s Day Festival. Vendors line the street with gifts and goodies, and bands perform live music on stages all over downtown Savannah. The St. Patrick’s Day Parade on the 16th is the main event. Savannah's parade is the second largest in the U.S. More than 300,000 people are expected to visit and enjoy the city-wide festivities. www. savannahsaintpatricksday.com. When: Mar. 28Apr. 13 Where: Savannah Historic District What It’s About: This annual 17-day event incorporates a carefully curated schedule of popular, folk, traditional, serious and studied music, all performed by renowned artists from across the globe. Known for its intimate venues, devotion to artistic excellence and high production values, SMF also fosters the creation of new work and artistic collaborations. (912) 525-5050 or www. savannahmusicfestival.org. Follow Savannah Everywhere from Anywhere. Savannah’s most scenic areas. The course starts off by running alongside each of Savannah’s two largest recreational parks, Forsyth Park and Daffin Park. Connected by beautiful tree-lined streets, the route also navigates around 13 of the city’s scenic squares in the Historic District. (912) 644-6414 or www. savannahwomenshalf.com. What It‘s About: Now in its 11th year, the festival will feature a fun and unique wine and food experience, combined with extraordinary live musical performances – all taking place within the beautiful surroundings of Tybee Island, just a few miles east of historic Savannah. www. tybeeposttheater.org/scheduletickets/tybee-wine-festival. When: April 21. Brunch cruise: boarding at noon; Sailing 1-2:30 p.m. Dinner cruise: boarding at 6 p.m.; Sailing 7-9 p.m. Where: River Street What It’s About: The Easter Brunch Cruise includes all your favorite breakfast and lunch entrees on this 1.5-hour cruise. Children can enjoy pictures with the Easter Bunny and receive a special Easter Egg surprise. The Easter Dinner Entertainment Cruise is a delicious dinner buffet on this 2-hour cruise. Bring your family and friends and enjoy a river view of historic Savannah. www.savannahriverboat.com/ seasonal-cruises. When: Apr. 26-27, 10 a.m.4 p.m. Where: Savannah Landmark District What It’s About: The tour, presented by the Garden Club of Savannah, features seven private gardens and the Massie School Gardens. Guests may start at any garden on the tour. A Southern Tea is held from 2-4 p.m. each day of the tour at the elegant Green-Meldrim House, where guests will enjoy sweets and savories in the home where General Sherman stayed when he occupied Savannah during the Civil War. www.gardenclubofsavannah.org. When: May 12, 5 p.m. Where: The Cathedral of St. John the Baptist What It‘s About: The Cathedral Choir and Chamber Orchestra perform Antonio Vivaldi’s famous Gloria and Franz Schubert’s dramatic Mass in G for a special Mother’s Day choral treat. (912) 233-4709 or www. savannahcathedral.org. WHY IS Savannah ONE OF AMERICA'S MOST Haunted Cities? veryone from USA Today to the Travel Channel includes Savannah on their list of “America’s Most Haunted Cities,” along with New Orleans and Salem, centers of paranormal activity for centuries. But what is it about Georgia’s First City — the 13th colony — that captures the souls of spirits and spurs them to stick around? To walk the bloody fields of past wars is often unsettling, but many say it’s not just a feeling, but a reality in Savannah, where catastrophic conflicts abounded throughout the centuries. From the Siege of Savannah in 1779 (240 killed, 600 wounded), to Savannah's capture by General Sherman during the American Civil War, fatal clashes have left their mark. Speculators say that these battles left a spiritual residue, and souls of unsettled soldiers lingered on the land and homes of the bloodstained ground. epidemics followed — one in 1876 killed 1,066 Savannahians. When harrowing happenings such these befall a community, it is said that those who lost their lives feel they can’t move on because of the agony they endured. The outbreak of disease in 1820 was accompanied by additional devastation on the morning of January 11. A rapidly spreading fire broke out in a stable, destroying 500 buildings before dwindling that afternoon. But this wasn’t the first catastrophic fire Savannah endured. In 1796, a deadly fire ravaged the city, destroying 229 houses and 146 outbuildings. The untimely deaths resulting from these fires is said to have perplexed the deceased, thus linking them to the place of their passing. 4. Mysterious Murders While every city has crime, everything has a little more dramatic flair in Savannah, even its murders (and ghosts). If you participate in one of the 40+ ghost tours in the Historic District, no doubt more than one murderous tale will be told. For instance, the crime made popular by Midnight in the Garden of Good and Evil (the murder of Jim Williams’ assistant, Danny Hansford) at the Mercer House on Monterey Square, or the controversial 1959 murder of three sisters at 432 Abercorn Street on Calhoun Square. More than a few antebellum mansions in Savannah have pasts that are anything but pretty, and the city’s dark secrets are often inside these historic buildings. know before you GO Welcome to Savannah, GA! The perfect vacation is just a click away at savannah.com. Offering detailed information on accommodations, dining, nightlife, activities, shopping, real estate and local events, this popular website also features area maps, deals, discounts and our â&#x20AC;&#x153;pricelessâ&#x20AC;? local publications. LOWCOUNTRY TIDES - March 2019 Tides based on the Savannah River Entrance. To calculate Hilton Head Island tides, add 24 minutes. To calculate Bluffton tides, add 40 minutes. To calculate Beaufort tides, add 51 minutes. LOWCOUNTRY TIDES - April 2019 Tides based on the Savannah River Entrance. To calculate Hilton Head Island tides, add 24 minutes. To calculate Bluffton tides, add 40 minutes. To calculate Beaufort tides, add 51 minutes. LOWCOUNTRY TIDES - May 2019 Tides based on the Savannah River Entrance. To calculate Hilton Head Island tides, add 24 minutes. To calculate Bluffton tides, add 40 minutes. To calculate Beaufort tides, add 51 minutes. LOWCOUNTRY TIDES - June 2019 Tides based on the Savannah River Entrance. To calculate Hilton Head Island tides, add 24 minutes. To calculate Bluffton tides, add 40 minutes. To calculate Beaufort tides, add 51 minutes. he Lowcountry abounds with wildlife, making this area a natural wonderland.